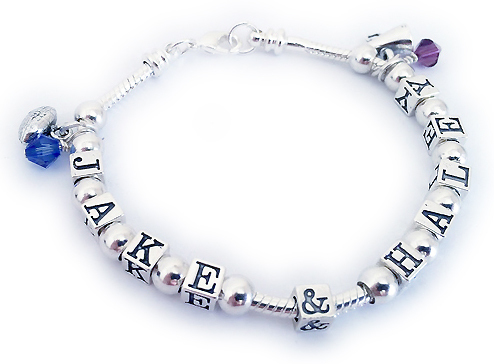 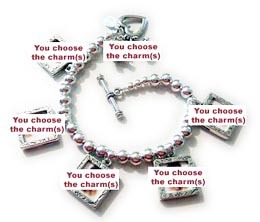 This Bridal Party Charm Bracelet starts at $69 and includes the 2 charms shown... Personalize and customize your charm bracelet with additional charms during the ordering process, if you like. 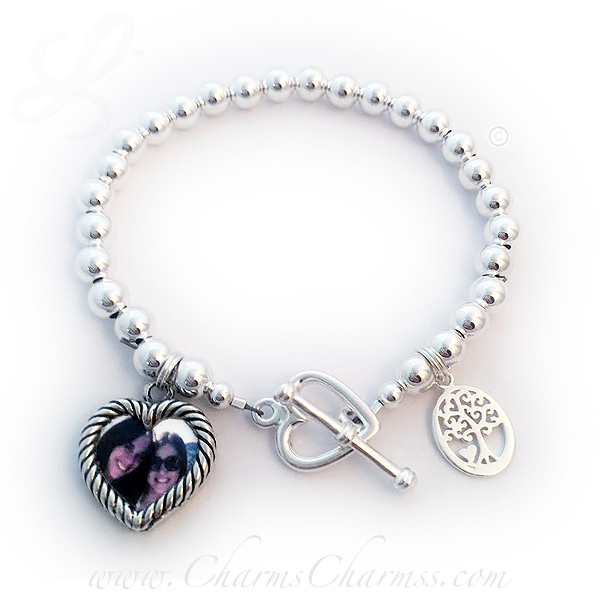 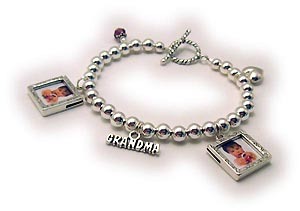 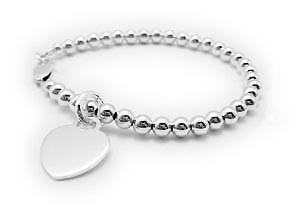 This bracelet is all sterling silver and includes the (engravable) heart charm. 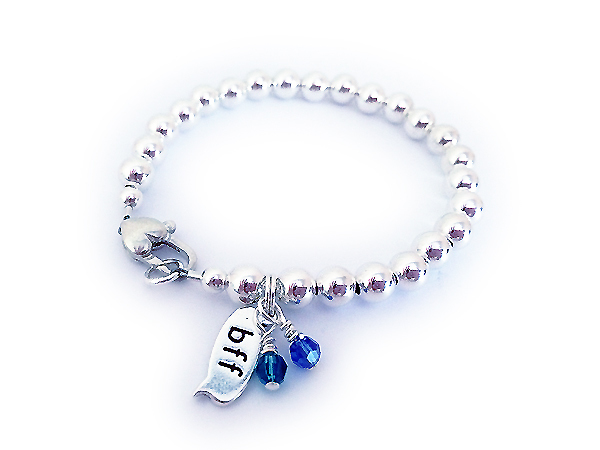 Go to this ordering page..
BFF Bracelet starts at $49. 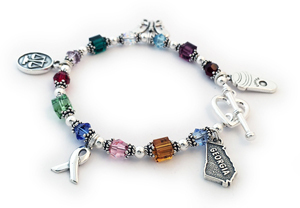 It is shown with an add-on Birthstone Crystal Dangle and Heavy Heart Toggle. 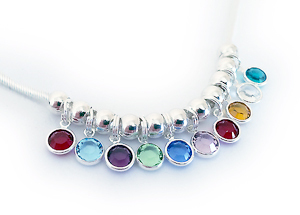 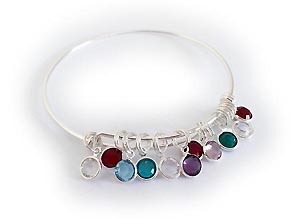 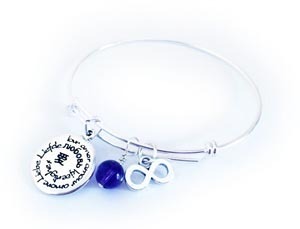 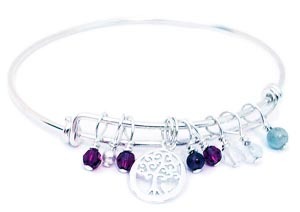 You can personalize it more by adding more charms and birthstone crystal dangles. Picture Frame Charm Bracelet with 5 Picture Frame Charms and 2 additional charms... a Teddy Bear and Angel Charms with a heavy heart toggle clasp.